The whole subject has left me with considerably more than that. Brutal partisan brawling over things like healthcare reform and climate change legislation was (and is) entirely unsurprising. It was the same old fights as always, and it never really left me with a feeling that politics had broken down in any real way. Financial reform is different. Politically, the obvious play for both parties is to outbid each other in efforts to rein in Wall Street, which practically everyone in America hates. But even though this would be an enormous vote getter, neither party is doing it. Democrats are offering up some mild reforms that would modify the playing a field a bit but not really fundamentally change anything. Republicans won’t even go that far. Apparently motivated by industry fealty and a desire to simply oppose anything Democrats offer up, they’re unwilling to support even modest reforms. It’s hard to know what to think about this. If your city were nearly destroyed by a huge earthquake, proposing better building standards would be an obvious response. It wouldn’t be a left vs. right thing, it would be a property developers vs. everyone else thing. 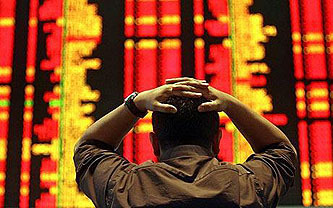 The financial meltdown of 2008 was like that. It exposed such massive fault lines in our banking system that outrage really shouldn’t be a left vs. right thing. It should be a big banks vs. everyone else thing. But the intellectual and monetary hold of Wall Street on our political class is so overwhelming that it was able to turn the whole affair into just another excuse for the usual partisan bickering. The winners, of course, will be the big banks. Housing bubble (i.e., the pure mania aspect of the thing). Massive increase in leverage throughout the financial system. Global savings glut/persistent current account deficits. Shadow banking system as main wholesale funder for banking system/Run on the repo market. Fed kept interest rates low for too long. De facto repeal of Glass-Steagall in 90s (and de jure repeal in 1999) allowed banks to get too big. Explosive growth of credit derivatives magnified and hid risk. Overreliance on risk models (VaR, CAPM) that understate tail risk. Wall Street compensation models that reward destructive short-term risk taking. Originate and distribute model for mortgage loans. Three decades of deregulation/political economy of lobbyists. Endemic mispricing of risk throughout market. Ratings agency conflict of interest. Investment bank change from partnerships to public companies. Government policies that recklessly encouraged homeownership. That’s a lot of possible reasons. But that’s not why we’re stuck. Everyone agrees that skyrocketing leverage was a huge problem, for example. Everyone agrees that mortgage fraud was a problem. Everyone agrees that ratings agencies were a big problem. Ditto for resolution authority, risk models, OTC derivatives, and the instability of the repo funding model. So even if there’s disagreement about some of the items on this list, there’s enough agreement about the others that there should be no problem putting together a stringent bunch of new rules that take a pretty serious whack at Wall Street. After all, agreement on 70% of the big problems is actually more than you get most of the time. But we’re not getting any of this. Treasury wants to shove off leverage concerns to Basel. Ratings agencies are largely getting a pass. Mortgage fraud is getting a pass. Risk models seem beyond anyone’s scope to regulate and the repo funding model, like leverage, is being punted to Basel. In the end, we might get a bit of action on resolution authority and derivatives regulation, but that’s probably about it. So, yeah: resigned cynicism. How can the entire world’s financial system nearly blow up and leave practically no serious action in its wake? How can one party respond only with weak tea while the other party flatly refuses to accept even that? It boggles the mind. And yet, that’s pretty much what’s happened. Welcome to 21st century America.